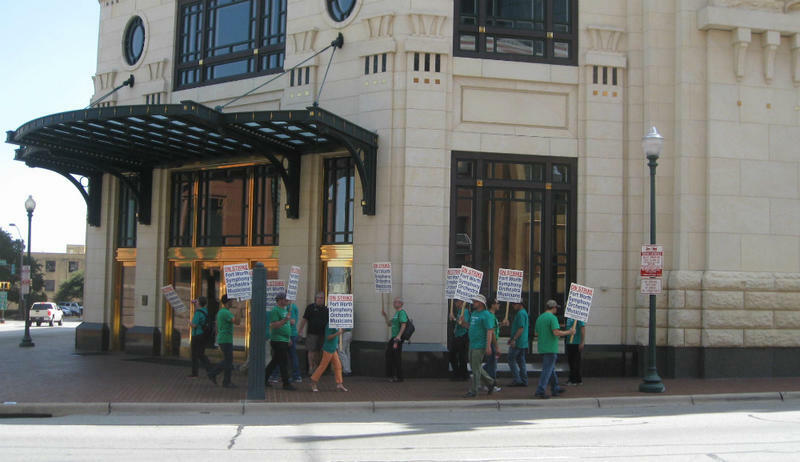 Fort Worth Symphony Orchestra musicians have been on strike since Sept. 8. Fort Worth symphony patrons and arts leaders are reflecting on how the absence of the orchestra is affecting the city right now, and how it could in the future if the strike continues into next year. Musicians called a strike on Sept. 8, and the orchestra has canceled all concerts through the end of this year. Union members and management remain at a stalemate over year-long contract talks. Gerald Thiel has season tickets to the Fort Worth Symphony. But he and his wife haven’t been back to Seats 5 and 6 in Row A of in Bass Performance Hall in months, after the musicians walked out. John Scott, music professor at the University of North Texas, looks at the situation from a global perspective. Members of the Fort Worth Symphony Orchestra picket following their announcement to go on strike Sept. 8. Fort Worth isn't the only city dealing with this. The Philadelphia Orchestra quickly resolved its labor dispute in October. It took a weekend. Pittsburgh’s orchestra strike is still ongoing. Musicians there walked out after Fort Worth musicians were already on strike. Scott thinks that’s a shame. And Austin resident Ron DeFord agrees. He routinely travels north for the orchestra’s programming and quality performances. Now, he worries about both. I have faith in finding a solution with the Fort Worth Symphony because an orchestra is not a bunch of individual musicians. 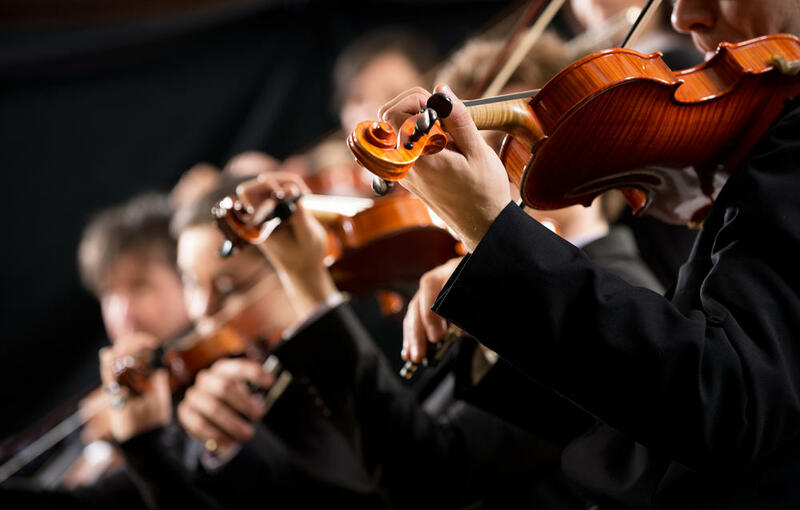 An orchestra is an ensemble who can play together. And we need that for the competition. Jacques Marquis, president and CEO of The Cliburn, can’t afford the strike to go on indefinitely. “It would be a disaster if we don’t have the symphony for the Cliburn,” Marquis says. The Fort Worth nonprofit foundation, named for the late Van Cliburn, runs the world-class international piano competition every four years, a junior contest for younger teens and a competition for adult amateurs. The symphony accompanies competitors in each of these events. The next big Cliburn International competition is this coming May. Having it without an orchestra is not an option, Marquis says. Marquis has been here before, however. Eleven years ago in Canada, he managed a competition. Weeks away from the start, Montreal Symphony musicians walked out. With the clock ticking, Marquis assembled a 72-member, professional pick-up orchestra, just in time. “I have faith in finding a solution with the Fort Worth Symphony because an orchestra is not a bunch of individual musicians. An orchestra is an ensemble who can play together. And we need that for the competition,” he says. Karen Wiley believes Fort Worth needs the orchestra for its own well-being. She runs the Arts Council of Fort Worth. There’s no way of knowing how many others feel that loss, or how acute it may be. There’s also little indication the dispute that led to the strike will be resolved any time soon. The Fort Worth Symphony Orchestra has canceled concerts through the end of the year due to the ongoing musicians' strike. 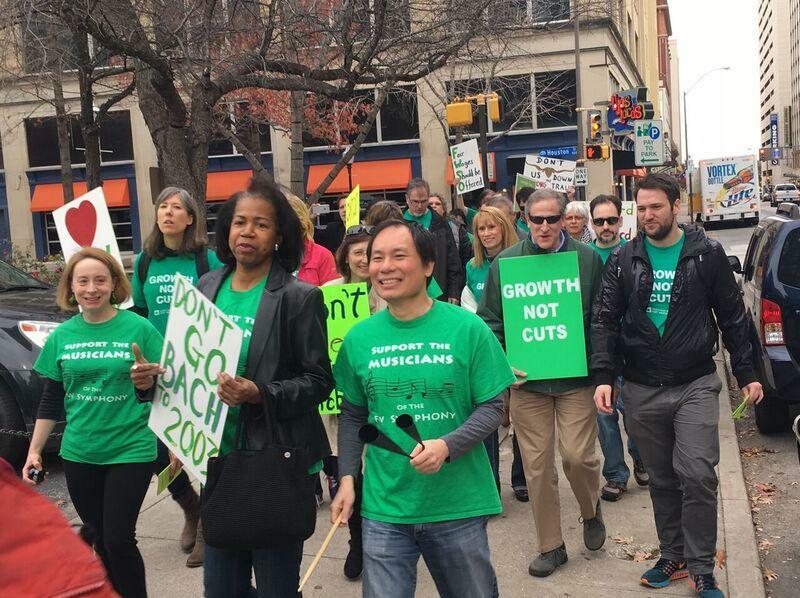 Fort Worth Symphony Orchestra musicians are on strike. The musicians union announced the news Thursday afternoon. Members of the Fort Worth Symphony have been without a contract for more than a year. Negotiations with management have been contentious. The two sides have now agreed to federal mediation. The musicians of the Fort Worth Symphony are working under a new contract. They voted to reject management’s final contract offer on Friday night. 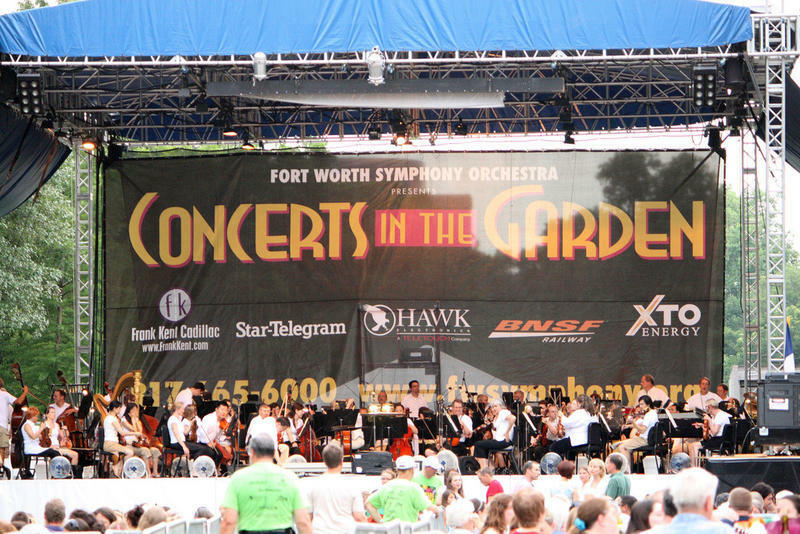 Tensions over the contract between the Fort Worth Symphony and its musicians continue. The symphony says it has issued its final offer and musicians will vote on it Friday, but it’s not clear if they’ll accept it.